Oils are used in the fur / feathers of animals as waterproofing. This is because the lipid tail of molecule is hydrophobic as the water is polar. They are good insulators as they have thick fat layers that trap air inside. Phospholipids have a similar structure to triglycerides, but with a phosphate group in place of one fatty acid chain. These properties are very important to biology. Phospholipids are used in cell membranes. 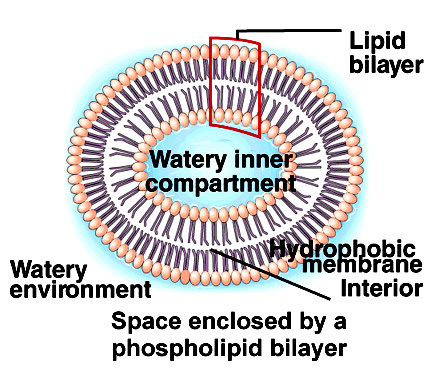 When mixed with water, phospholipids form droplet spheres with a double-layered phospholipid bilayer. The hydrophilic dead faces the water with the tails facing one another. This traps a compartment of water at the centre. This causes trapped spheres of water as the surrounds are hydrophobic.